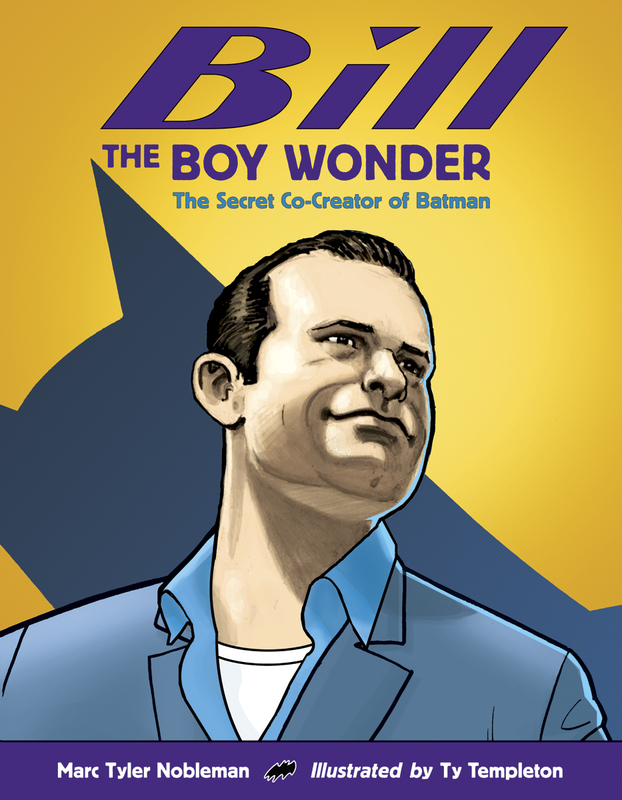 Educator (and foodie) Beth Shaum has shared very kind (and, if I may say, astute) comments about Bill the Boy Wonder: The Secret Co-Creator of Batman. Marc Nobleman has written an important story in Bill the Boy Wonder, not just for comics fans, but also as a lesson in giving credit where credit is due. I’m so grateful Katherine Sokolowski alerted me to this book in her presentation on building relationships at nErDcampMI, otherwise I’m sure I never would have read it. As someone who is not a fan of comics, why would I? But this book is so much more than a biography about a comic book creator. Bill the Boy Wonder is a perfect catalyst for talking with students about being gracious and fair, and a great question Katherine asks her students when conflict arises is, “Are you being a Bill or are you being a Bob?” It doesn’t get more simple and impactful for students than that. Not only does this book speak to lessons in doing the right thing, but it is also peppered with writing inspiration as well. Bill the Boy Wonder is a book I will be sharing with my students at the start of the school year and one that I have a feeling we will reference often, just like Katherine does. Thank you again, Beth and Katherine! And thank you yet again to all teachers who incorporate Bill the Boy Wonder into your classroom. I don't care for this lesson very much. The Batman story is about a business deal that screwed Bill. The lesson should be DON'T be Bill. Don't be a doormat. Don't compromise your livelihood and your worth by drinking and gambling and being unreliable. Don't give away your ideas without ownership. Painting Kane as "the bad guy" just reinforces the stereotype of liberal teachers belittling achievers and doers, and deifying victims as role models. Hi Bob - You make a good point. I have written about how Bill is not blameless in what happened to him: http://noblemania.blogspot.com/2010/11/bobstacle-and-billain.html. I should point out that nowhere in my research was Bill described as a gambler on any level. And here's my take on Bill and drinking: http://noblemania.blogspot.com/2012/01/drinking-problem-problem.html. Perhaps I just assumed that from the numerous anecdotes of Bill being broke all the time and begging for advances. Was this simply due to slowness and fewer assignments, or wifely extravagance, or expensive tastes? Bob - poor money management, like many creative types.